Their marriage has been hailed as something out of a fairy tale. Or, more appropriately considering their families, out of a Shakespearean opus. They are, after all, the grandson and granddaughter of bitter political rivals who both died probably hating each other. During the 1965 presidential elections, Senate President Ferdinand E. Marcos ran against incumbent President Diosdado P. Macapagal. Senator Marcos, who ran under the Nacionalista ticket, eventually emerged the winner in the elections, gaining 51.94% of the total votes against the standard bearer of the Liberal Party, President Macapagal. While the fight was focused on these two key players, there was another candidate in the race who placed third - this was Raul Manglapus who ran under the Party for Philippine Progress, a breakaway of the Nacionalista party. While Raul Manglapus was not a threat to either Marcos nor Macapagal in 1965, he later on became one of the most vocal and prominent critics of the Marcos regime. By the time Martial law was declared, Manglapus went into exile as there was an outstanding warrant against him if he ever returned to the Philippines. Manglapus only returned to the Philippines after Marcos was removed from office through EDSA 1. Bitter enemies until the end, Raul Manglapus was one of the petitioners in court trying to stop the return of Marcos's body, which was not successful as the body eventually returned to the Philippines in 1993. 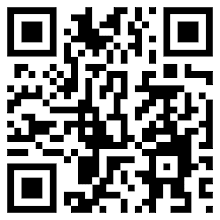 The political history is really just a backgrounder. 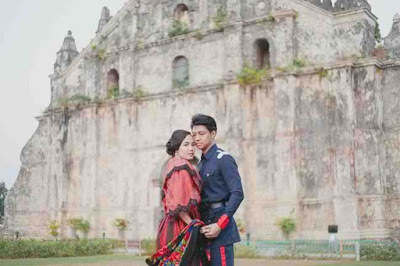 While reports say that Michael Ferdinand Marcos Manotoc, son of Governor Imee R. Marcos and Tommy Manotoc and grandson of President Marcos, and his wife Carina Amelia Manglapus, granddaughter of Raul Manglapus, only met in 2014 during the wedding of Luis Marcos Araneta, son of Marcos’ second daughter Irene, where Cara was a guest of Alexandra Rocha, Luis’ wife. What isn't being mentioned in the press about the marriage of Michael and Carina is the fact that they are second cousins. Michael's father, Tommy Manotoc, is the son of Ding Manotoc and Nena La'O. 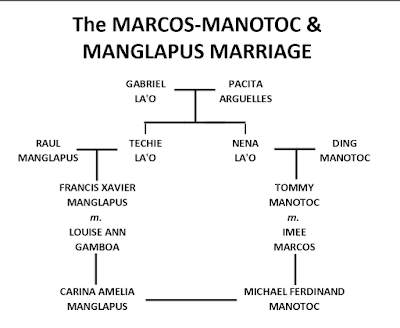 Meanwhile, Carina's father, Francis Xavier Manglapus, is the son of Raul Manglapus and Techie La'O. Both Nena and Techie La'O were the daughters of Gabrielle La'O and Pacita Arguelles. 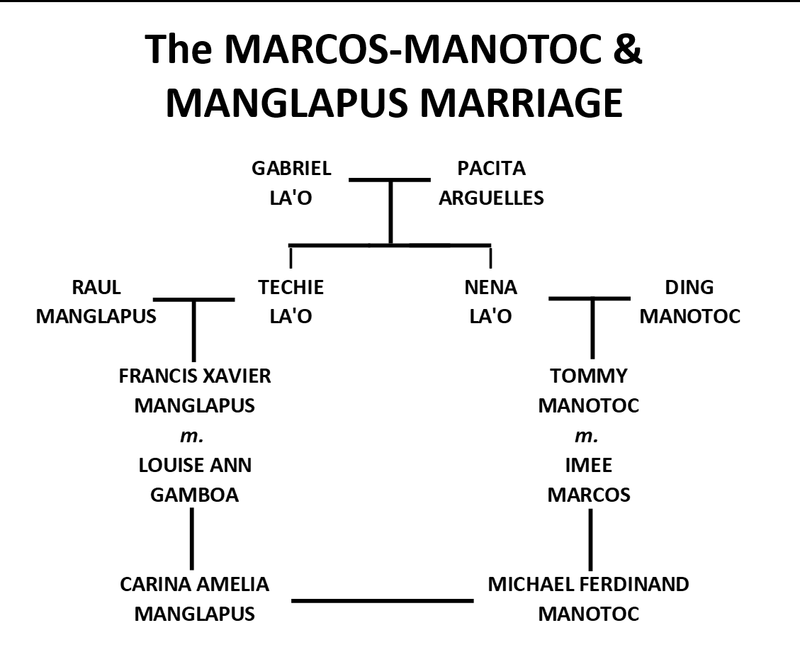 Which means that Tommy Manotoc and Francis Manglapus are first cousins, making their children second cousins. 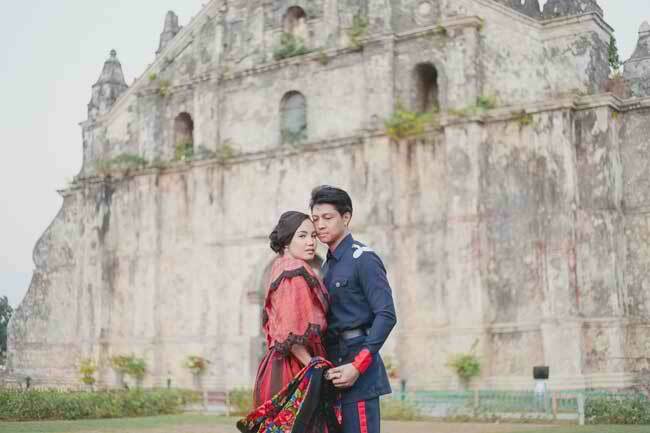 As I have discussed in an earlier post about consanguineous marriages, the Philippines only prohibits marriages between first cousins. Second cousin marriages are allowable, but need dispensation from the Vatican when married in a Catholic ritual. The marriage of Michael Manotoc and Carina Manglapus, then, not only brought an end to a decades long feud between their families; it has also strengthened the familial bonds of the Marcos, Manotoc, Manglapus, La'O, and Arguelles families.